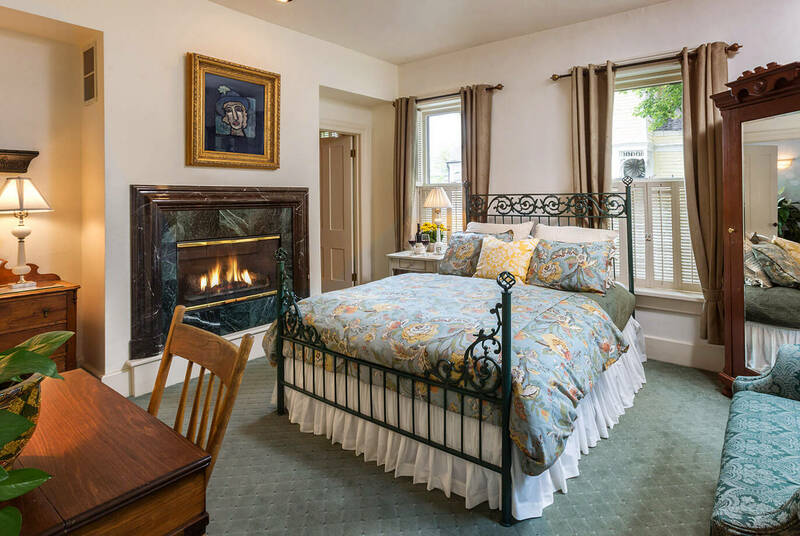 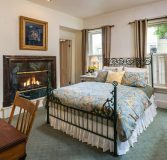 The Adeline Lehman room, on the first floor of the Schroeder Guest House of our hotel near Milwaukee, WI, has a comfortable queen bed next to a warm and cozy fireplace. 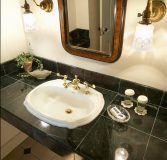 The spacious bath area with green marble accents, includes a walk in shower, as well as a luxurious Whirlpool for two. 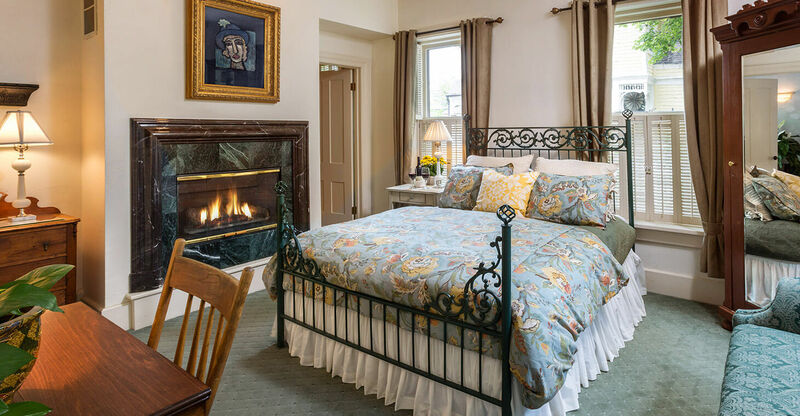 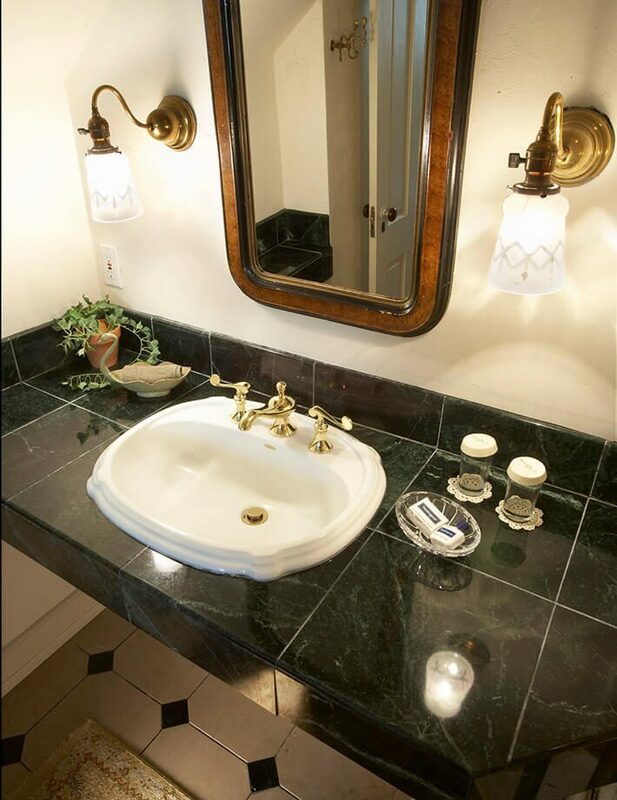 The Whirlpool area is accented by a hand-painted mural for a romantic Victorian feel.